It’s high time Karl Lagerfeld got his own fun and fashionable book, if you ask me. Well, it happened! Where’s Karl? is available for pre-order right now, and yes, it is a very high-brow version of Where’s Waldo? Get excited, because the coffee table book of your very stylish dreams is here. Stacey Caldwell and Ajiri Aki, who are both involved in the fashion world themselves, teamed up to write this book based on Caldwell's real-life efforts to catch a glimpse of the world-renowned designer. According to Vogue, she used to have fun trying to spot Lagerfeld when she’d take her own personal trips to Paris. I mean, don’t we all play this game on our many excursions to the City of Light? How I wish! What makes this book even greater is that while searching for Lagerfeld, you’ll come across some other big names along the way, as one does. From Cara Delevingne to Mary Kate and Ashley Olsen, this search and find is sure to be the most fashionable book, like, ever. That's one heck of a line-up, am I right? Wearing their looks from the Met Gala, Mary Kate and Ashley Olsen are said to appear in the book's pages. The man of fashion himself will of course be present. It wouldn't be a book about fashion without this supermodel. There has to be a stylish It-girl involved, you know? She may be done with fashion, but fashion's not done with her. You've got to have a risk-taker in the bunch. According to Vogue France, even Beyoncé will feature in Where's Karl?Shouldn't every book have an appearance by the Queen herself? Last but not least, the man of the hour, Mr. Lagerfeld! Pre-order the book now before it's officially released on September 15. 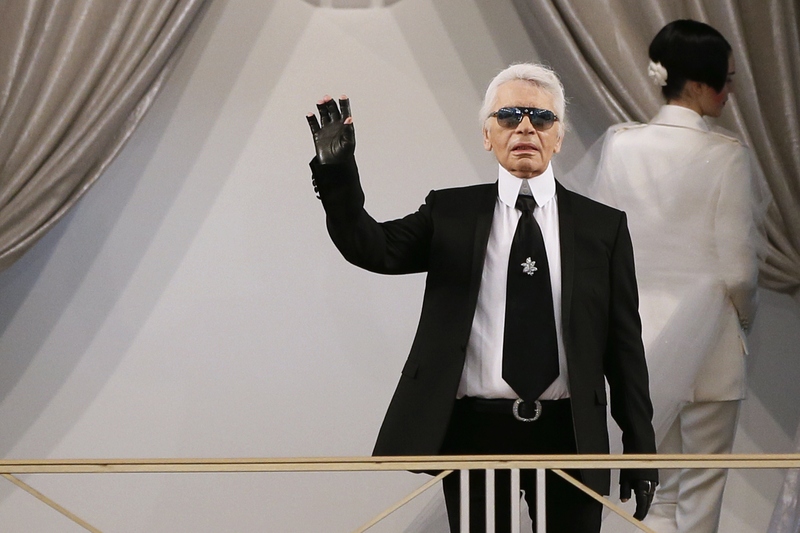 Let the hunt for Lagerfeld begin!